Riding the subway to work or school every day can eventually become a rather soul-crushing pursuit. You look at the same ugly upholstery, misspelled graffiti and weary travelers day after day, and the trains themselves start to annoy you after a while. 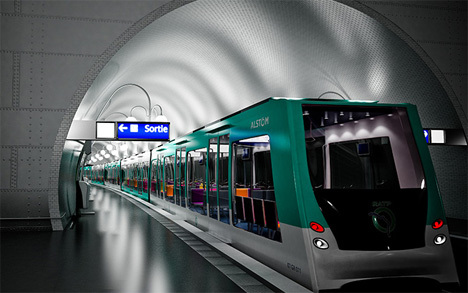 Designer Yves Lombardet is making a valiant attempt to revitalize the very idea of train cars with his Metronomie concept. 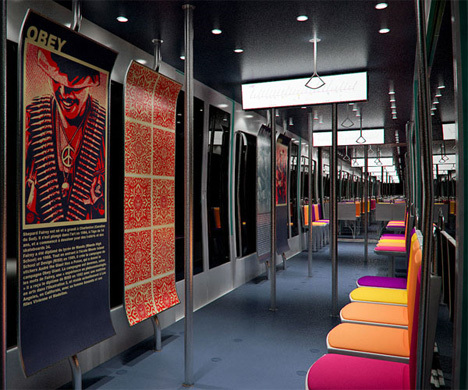 The project was intended to explore the issue of repetition in mass transit. 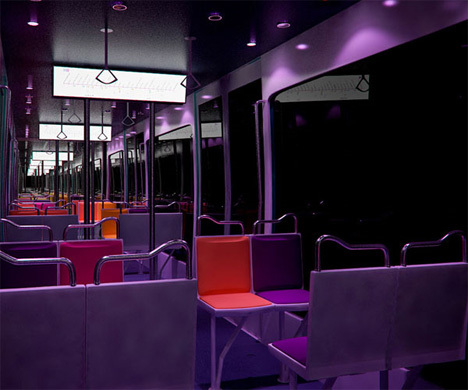 The modular design of Metronomie allows every car to have a different feel and a different layout, adding an element of interest to an otherwise bland subway car. 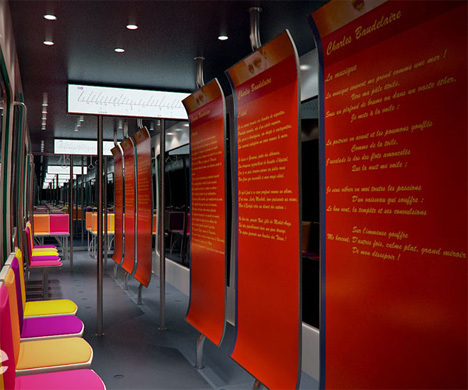 From colorful seats and spotlights to interesting art and city facts on the walls, the Metronomie concept gives commuters something to look forward to each morning instead of something to dread. Even the larger windows add to a more sophisticated feel to the train cars, taking them from grubby underground chambers to modern, stylish conveyances. Sadly, even a really cool-looking subway car won’t make the large guy sitting next to you smell any better. See more in Mass Transit or under Transportation. May, 2011.